Styled with aadya blouse . 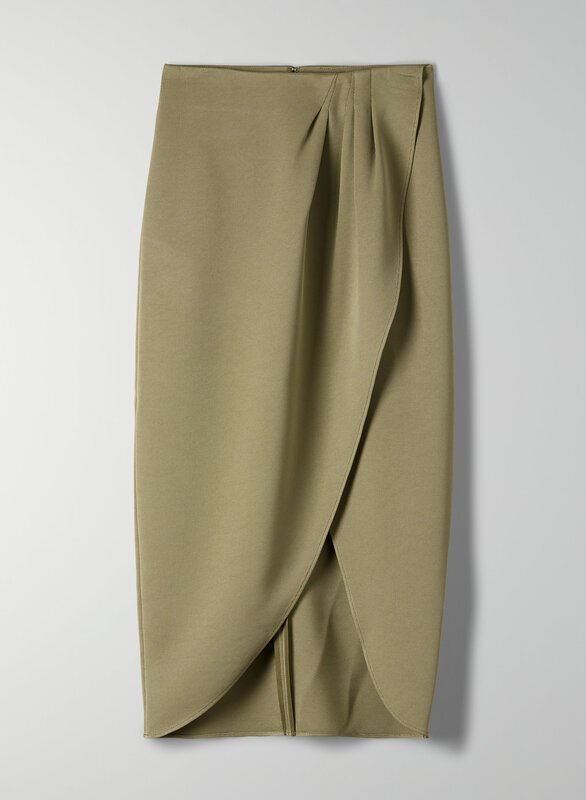 This is a long, sarong-style skirt with an asymmetrical, faux-wrap detail at the front. It's made with a textural, drapey fabric from Japan.